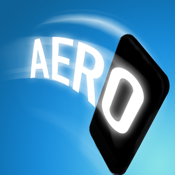 Aero Text allows you to send text messages using your phone in the air. just write your message and shake your device from side to side, and your text will appear magically in midair! Be the highlight in the club, or at the party camp.